Win $50 for Spring Lawn Care! We’re not the only ones who are excited about spring. 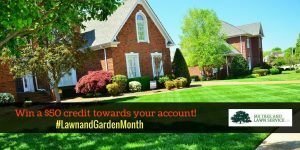 April is Lawn and Garden Month, a yearly reminder to plant your annuals, trim your hedges, and readjust your mower height for a healthy spring lawn. And Mr. Tree and Lawn Service is here to help! 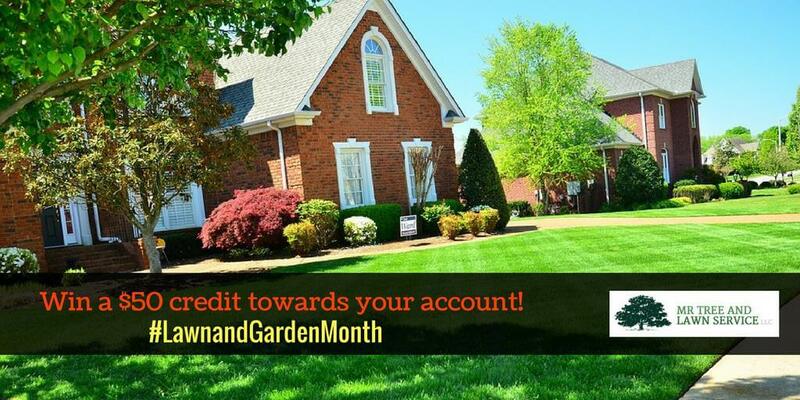 We’re giving you a chance to win a $50 credit towards any landscaping service. Now that’s something to get excited about! Comment on our April giveaway announcement on Facebook. Share your best picture of your family, your pets, or both enjoying the yard. Show us why you want that $50 credit! Relax! We’ll announce our randomly selected winner on May 1st, 2017 at 12pm. Once the winner has been chosen, we’ll get in touch via Facebook and you can claim your credit. Ready to win? Head over to our Facebook page and submit your pic!